The much-maligned Xbox One will include a chat headset! Earlier Microsoft had indicated it would not include a headset with the next generation console. Following Microsoft's DRM U-turn and GPU speed boost from 800MHz to 853MHz. 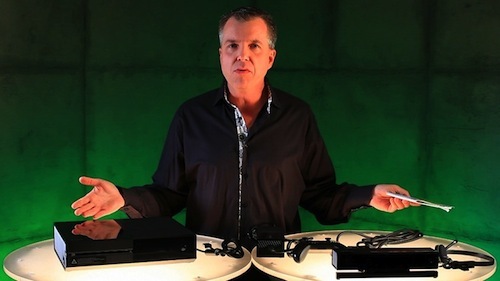 Launch editions of Xbox One will mimic Xbox 360 with the addition of a chat headset revealed by, brand ambassador extraordinaire, Major Nelson during a QVC-inspired unboxing on Xbox Wire. The chat headset offers "3x the sampling rate of the Xbox 360," Microsoft said. It is also described as "super lightweight"--weighing in at 44 grams. The headset also features a padded earpiece that can be worn on the left or right year, as well as a rotating mic. The contents of the Xbox One Day One limited edition package include the console itself, the Kinect sensor, a branded Day One controller, a chat headset, 4K-rated HDMI cable, power supply and a redeemable code for a Day One-exclusive achievement.